Expressly formulated to address early age cracking problems, premium micro-synthetic polypropylene fibers prevent 80 -100% of all cracks in the plastic state, precisely when most cracks occur. During the plastic settlement phase, the fibers create a three-dimensional support network that resists the downward pull of gravity, thus keeping aggregates in suspension and promoting uniform bleeding. This network increases the tensile strain capacity of concrete during the plastic shrinkage phase as well. Applicable to all types of concrete which demonstrate a need for resistance to intrinsic cracking and improved water tightness and an aesthetic finish. Premium Polypropylene Fiber is ideal for use in concrete that has light duty reinforcement or no reinforcement at all. Premium Polypropylene Fiber mitigates early age cracking that all concrete experiences as it cures. 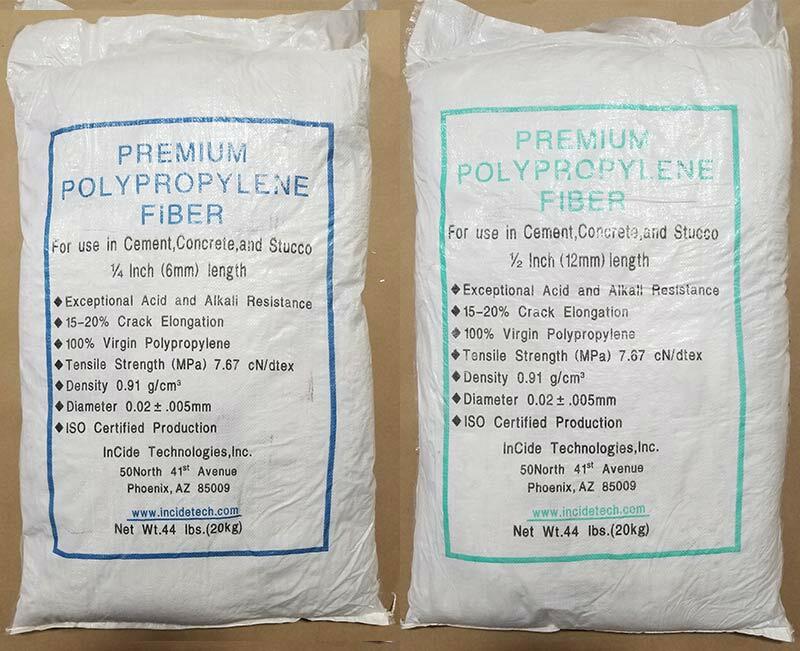 Premium Polypropylene Fiber requires no installation, no prep work, and no additional finishing time and is always perfectly placed within the mix. lnCide Technologies prides itself on backing up our claims with performance data. 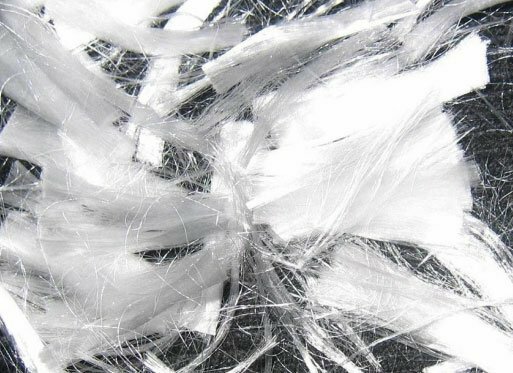 Our Premium Polypropylene Fiber has been tested per ASTM C 1579 “Standard Test Method for Evaluating Plastic Shrinkage Cracking of Restrained Fiber Reinforced Concrete (Using a Steel Form Insert)”. In this test, plain concrete samples are tested alongside concrete samples reinforced with micro fibers. Early age cracking is identified, quantified and compared in each sample. A crack reduction ratio (CRR 43) is then determined that describes the micro fiber’s ability to mitigate early age cracking as compared to a plain concrete sample. Based on latest results, Premium Polypropylene Fiber has a CRR of 40. Concrete with Premium Polypropylene Fiber will mitigate 43% MORE early age cracks than plain concrete. Considering that many long term cracking stems from these smaller early age cracking, that translates into real performance for the life of the concrete floor. Dosage: lnCide Technologies recommends dosing the concrete with 0.6 to 0.9 kg/m3 of Premium Polypropylene Fiber. 6 pallets of Premium Polypropylene Fiber does the work of one truckload of welded wire fabric. 44 Lb Bag (20kg) containing 20 x 1 kg bags for easy measuring.